Electro-coating finish - Provides long lasting corrosion protection! Withstands 400 hours of saltwater exposure without rusting! 100% machine-finished & inspected for balance! Proper heat transfer & thermal efficiency! Superior braking power & safety! Only Centric Premium black rotors feature Original Equipment specifications and production processes. All Centric rotors are manufactured to meet QS and ISO Quality System Standards. Their global suppliers have already passed these stringent quality assurance standards because they currently supply products to the O.E. manufacturers. Long-Lasting Protection! 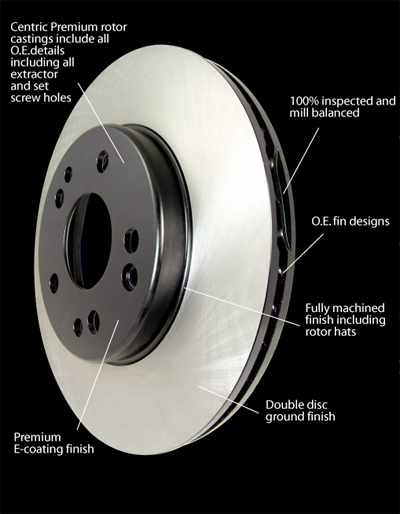 Centric Parts is committed to bringing you the best rotors in the aftermarket to replace your stock BMW rotors! Centric has scoured the globe in search of the best brake components the world has to offer. Their search has led to the development of the highest quality product lines. When it comes to rotors, you do have a choice! 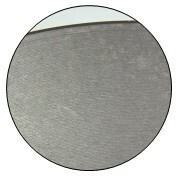 Inconsistencies on the friction surface area left by interior finishing processes create potential noise and vibration issues. These rough finish surfaces also prolong the pad-rotor break in period, diminishing braking power which cause longer stopping distances. Centric Premium rotors feature a double disc ground, taper free finish. 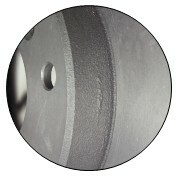 Double disc grinding ensures parallelism, eliminates run out and provides near perfect disc thickness variation (DTV). 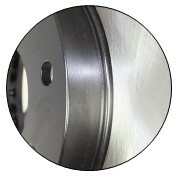 Double disc grinding leaves a non-directional finish on the friction surface area for more effective pad-rotor break in. This special finish also provides quieter and smoother stops. Rough castings left behind by substandard manufacturing processes create balance inconsistencies resulting in wheel vibration related noise. The lack of mill-to-correct balancing only exacerbates these issues. Centric Premium rotors feature 100% fully machined finishes, including rotor hats. 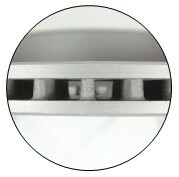 This extra process provides better rotor balance and creates a cleaner, more finished looking component. 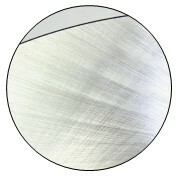 In addition, all Centric rotors are 100% inspected for balance, and mill-corrected to a tolerance of less than 2oz. per inch. Side-split castings, while cheaper to produce, do not distribute heat effectively. The result is that they transfer more heat to one side of the rotor than the other, greatly diminishing braking power, especially in high-heat emergency situations. O.E. specification center-split core casting provides proper heat transfer and thermal efficiency, resulting in superior braking power and safety. In the first step, the O.E. Specifications are dialed in and configured to create the highest quality and OE precise rotors. guaranteeing the most accurately fabricated rotor and flawless function. 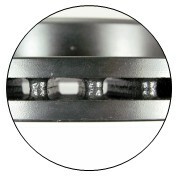 A non-directional finish is implemented by the process of double disc grinding. This ensures a near perfect Disc Thickness Variation (DTV), which guarantees even wear and better break-in between the pad and the rotor. Last but not least, the processed rotors are then precisely balance during the inspection process. Giving close attention to any inaccuracies the rotors are corrected to a tolerance of less than 2 ounces/inch!